When you think of Arizona, the Grand Canyon is probably the first and certainly the biggest attraction that comes to mind. 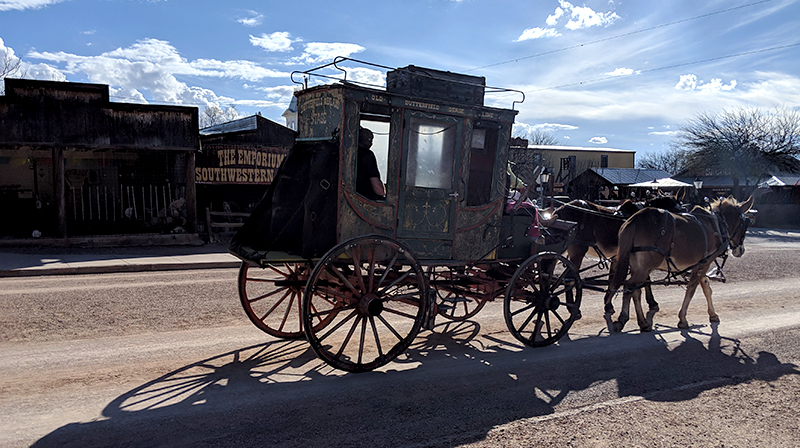 If you are a fan of history and the American Old West, Tombstone is probably on your short list of places to see when spending time in the state. 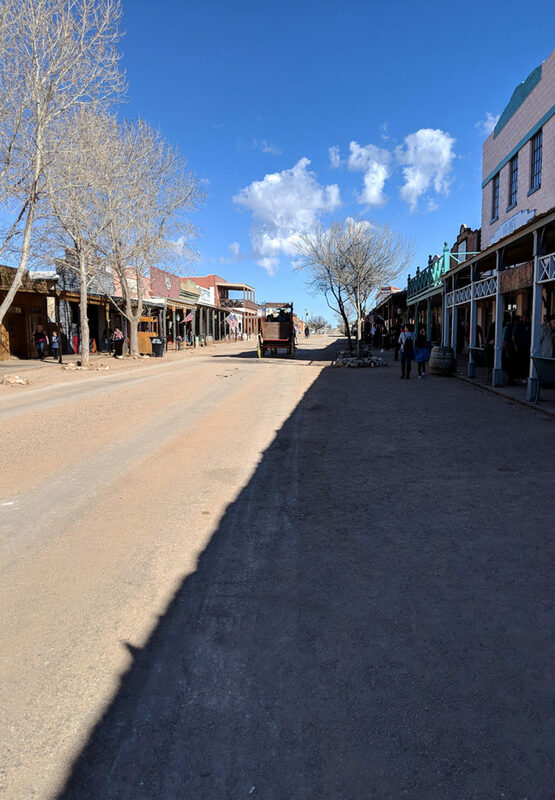 My cousin and I found ourselves in Tombstone on a recent Sunday in March. Located less than 90 minutes from the north Tucson subdivision where we were staying, the ride down I-10 saw the saguaro give way to a desert scrub. As we traveled down Arizona 80, with mountains always lingering in the distance, I could imagine what it might have felt like to be a pioneer heading west, or a settler who decided that this area was a place to make a home. Among the first places we came across as we pulled into Tombstone was Boot Hill Cemetery. While not at the top of our list this visit, it’s a place we’d like to see the next time through. And, that’s the thing about Tombstone. You can go and see as much or as little as you want. Our main objective was to visit downtown and maybe see a gunfight. The weather was perfect for an afternoon excursion. The sun was bright and the air warm but not hot, about 70 degrees Fahrenheit. We visited outside of tourist season so we were able to browse to our heart’s content without being elbow-to-elbow with others. Much of the parking is in what I call golden rule lots. We parked in a dirt lot with a pay box attached to a boulder. A sign tells you how much to put into the box, but no one is there watching and there are no stubs to put in your window. Yet, everyone pays. It’s the golden rule! A short walk up a hill and were in the heart of downtown. The courthouse was the first and most distinctive building we discovered. It is now a museum. 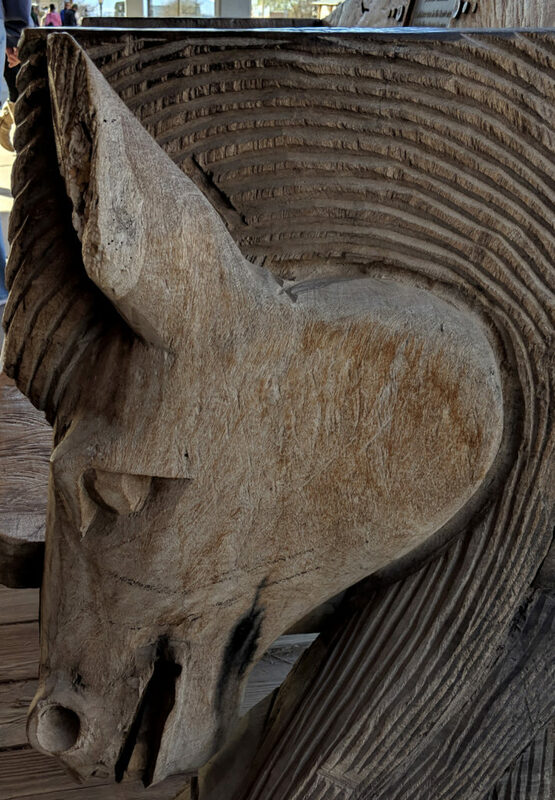 Since we were on a definite budget, we decided to save this museum for another day. However, next time we use the Tucson Attractions Digital Passport. It’s like the old Disney ride coupons, except many of these are buy-one-get-one discounts into museums and other attractions in Tombstone and around the whole southern Arizona area. We knew we wanted to see a gunfight, but the OK Corral was not to be. 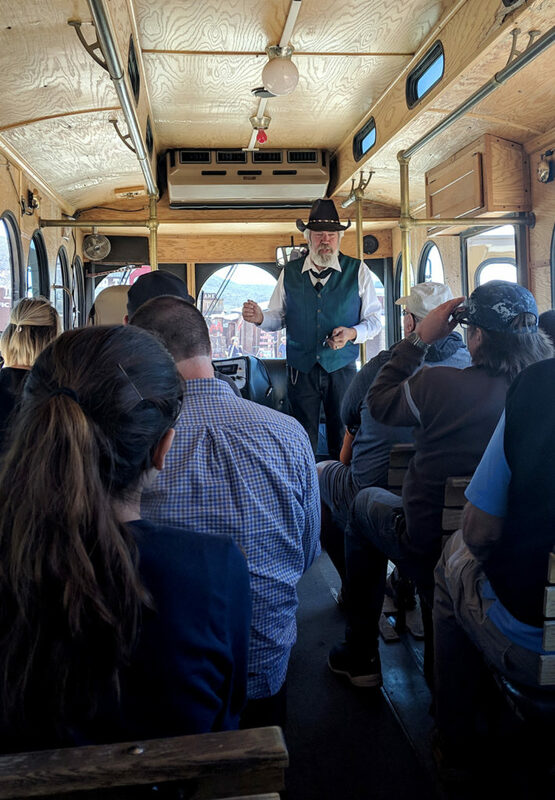 Instead, we opted for the Wyatt Earp package and took the trolley tour followed by the Old Tombstone Western Theme Park. Our trolley tour guide shared his knowledge and told us many stories. We took note of the places we’d like to see the next time we visit. Old Tombstone Western Theme Park was quite a lot of fun! 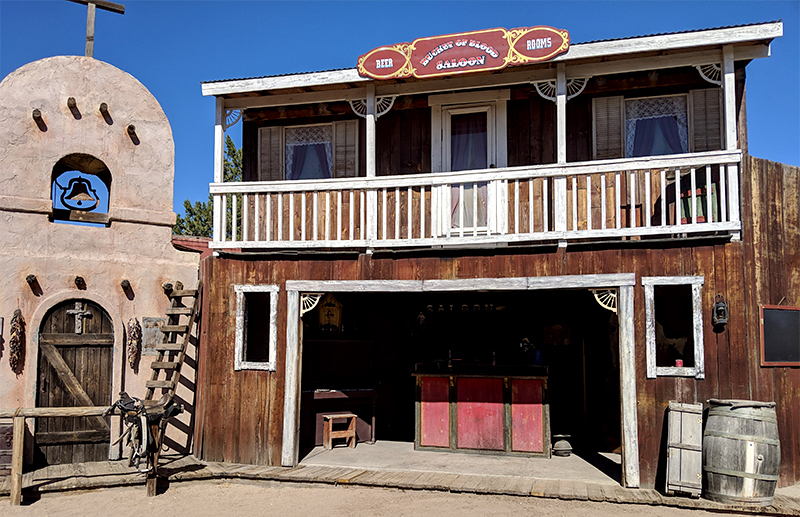 The set design is stereotypical of the Old West with a sense of humor. 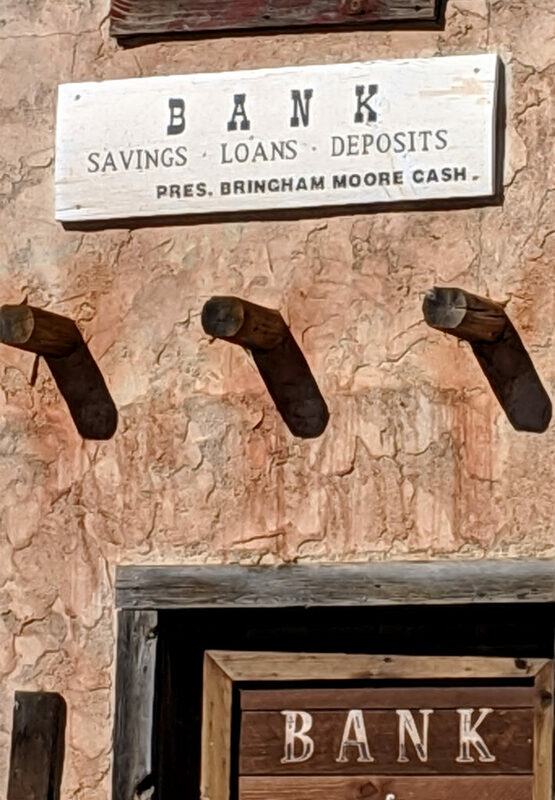 The bank is run by Bringham Moore Cash and the Funeral Director is Seymour Graves. An audience participation experience, these actors know how to show the people in the bleachers a great time. The good guys always win but the bad guys have a lot of fun in this Wild West Show! We spent the remainder of our time wandering the three-block main street. We stopped in a few shops and took in the architecture. One stop was a quirky little shop that had a free oddities museum. 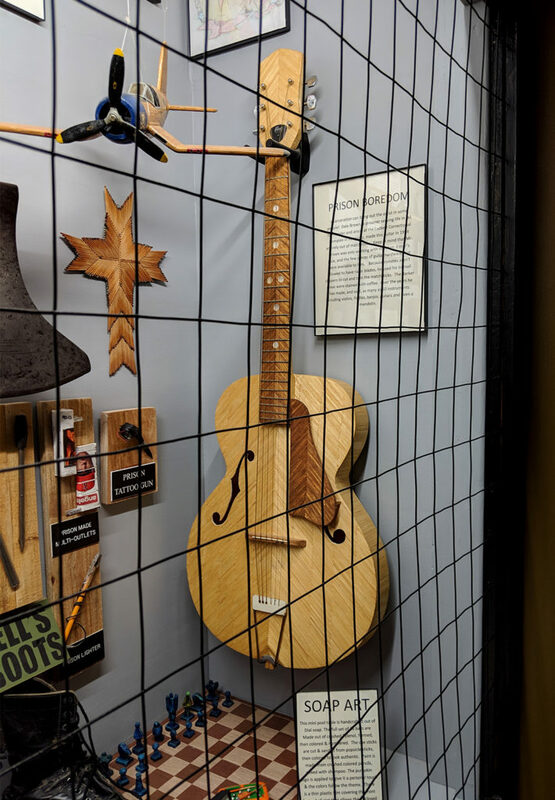 Odd is the right word for the items in this little museum. A little reality mixed with some Ripley’s Believe it or Not fills this tiny gallery. We missed out on the world’s largest rose bush but we want to see it when it’s blooming. That’s definitely on next trip’s agenda, especially since our mothers’ last name was Rose before they married our dads. The town was founded by Ed Schieffelin. He was an inadvertent miner who, in 1877, would leave Camp Huachuca to look for rocks. Ed was warned by other soldiers not to leave camp, but he didn’t listen. The warning given by the soldiers would lead to the naming of the town. They told Ed that he wouldn’t find any stones in the wilderness, but he would eventually find his own tombstone. But, Ed found rocks in the wilderness – silver! He named the mine Tombstone as a tongue-in-cheek homage to his fellow soldiers at Camp Huachuca. The town grew up around the mines that eventually dotted the area and was incorporated as Tombstone in 1879. Although Tombstone had a recorded population of about 7,500 by the mid-1880s, this figure reflected only registered voters, who had to be white, male, and over 21. The estimated population including unregistered voters, white women and children, and Chinese workers was between 15,000 and 20,000. 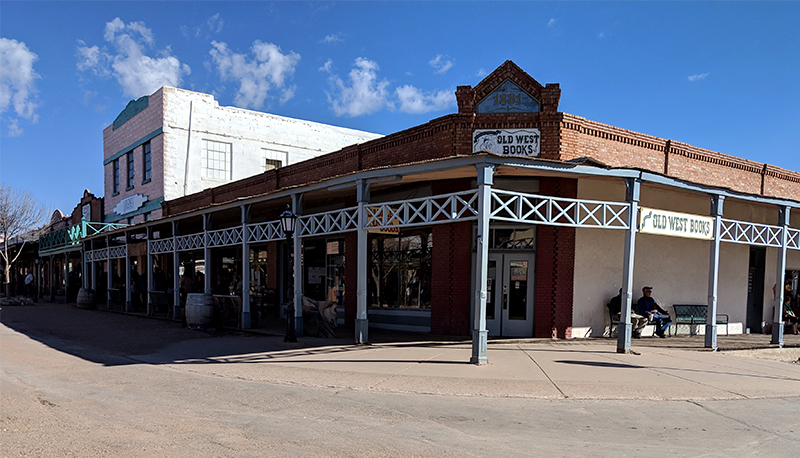 At the height of silver mining, Tombstone had a bowling alley, four churches, an ice house, a school, two banks, three newspapers, an ice cream parlor, 110 saloons, 14 gambling halls, and many dance halls and brothels. 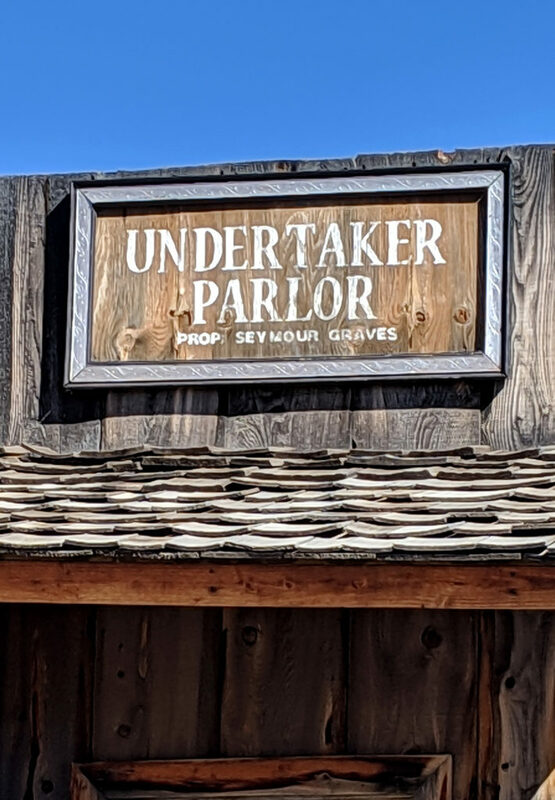 Tombstone is known as ‘the city too tough to die.’ That might be because of two fires within one year that wiped out most of the town. The first occurred on June 22, 1881, and destroyed more than 60 downtown businesses. The second started on May 26, 1882, and caused about three times the amount of damage as the first one. Both fires are believed to have started in saloons. 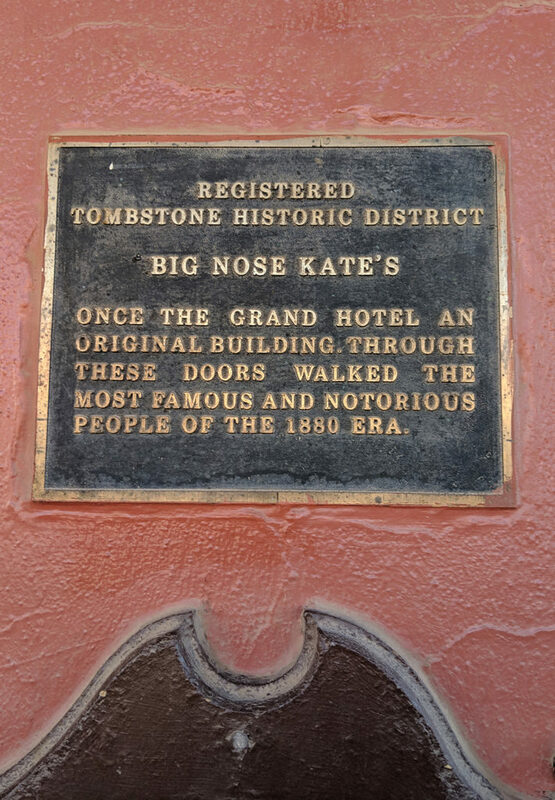 Between the two fires, the most famous event and the reason we still visit Tombstone took place. 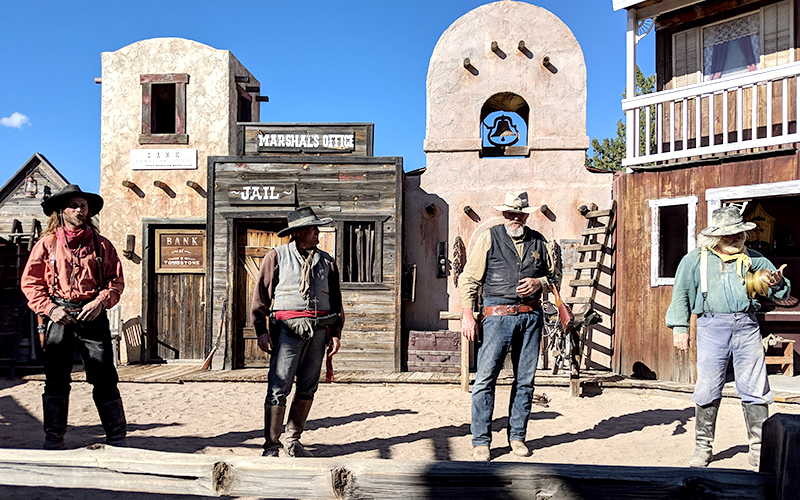 On October 26, 1881, the gunfight at the OK Corral took place, not inside the corral, but in a narrow vacant lot behind the corral on Freemont Street. Thirty seconds after the bullets started flying, Billy Clanton and the McLaury brothers were dead and Virgil and Morgan Earp, as well as Doc Holiday, wounded. The mines met the water table in the mid-1880s. That was the beginning of what could have been the end for Tombstone. 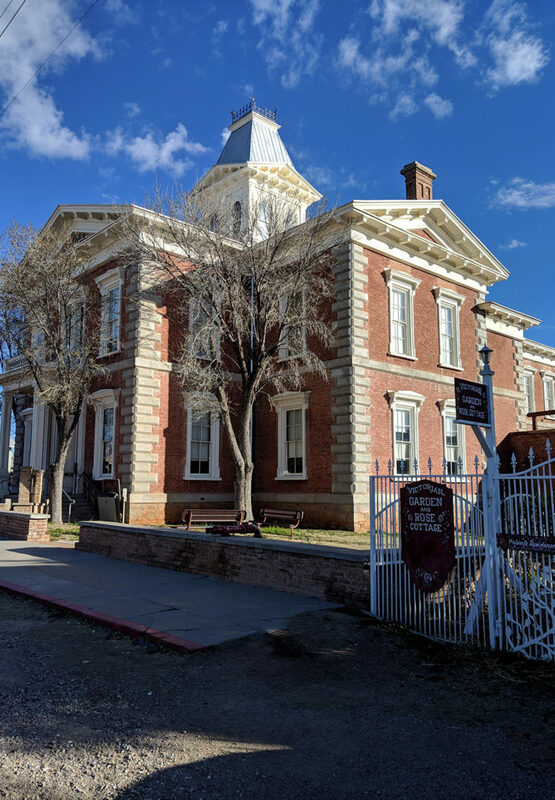 The location as the county seat was its saving grace until it was moved to Bisbee in 1929. The low point for Tombstone as 1910 when the population was only 646. The population in 2010 was 1,380. We’ll have to let you know the next time we’re in Arizona! We are planning to go to Sedona and you are along the way. We’d love to spend some time with you and see our ‘fashions in action’ at the Pioneer Living History Museum! 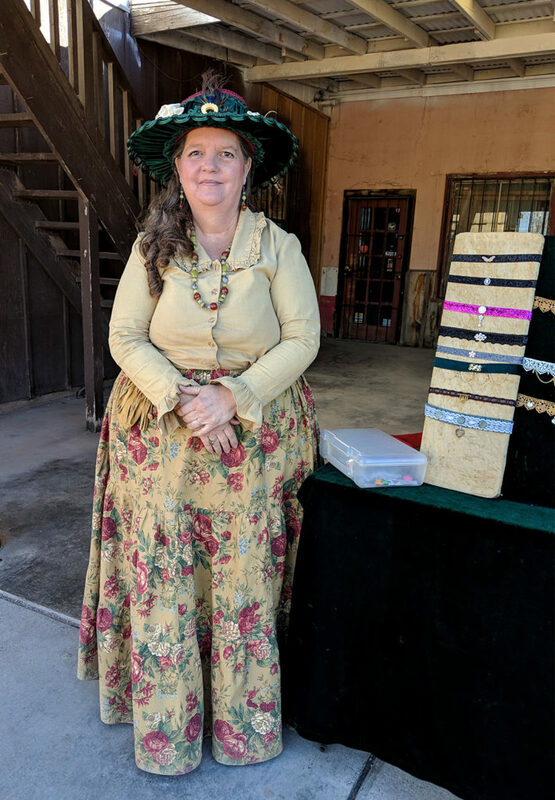 Next time you’re in Arizona maybe you can go north and visit us at Pioneer Living History Museum off I-17 near Anthem. We are a village of 20 buildings, half of which are originals from the 19th century. 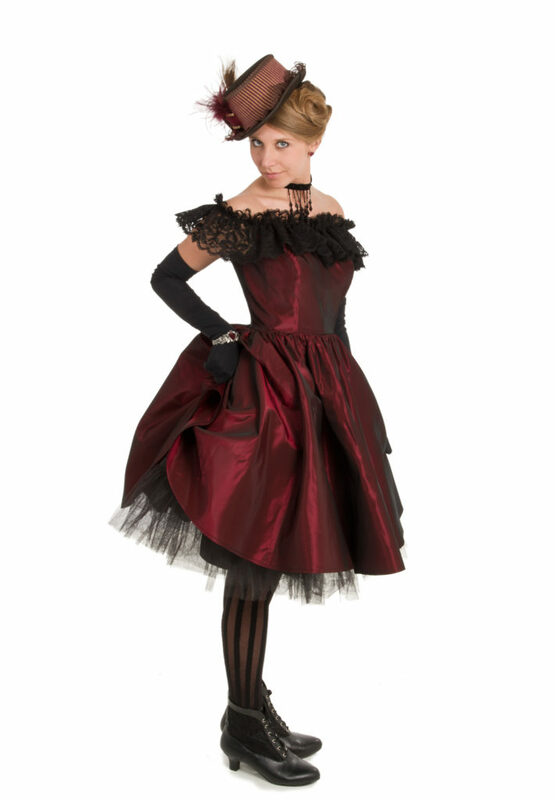 You’ll spot many docents wearing Recollections dresses- we are huge fans! What a great story! We’d love to see whatever you’d like to send to us. Please check your email for more information from us. 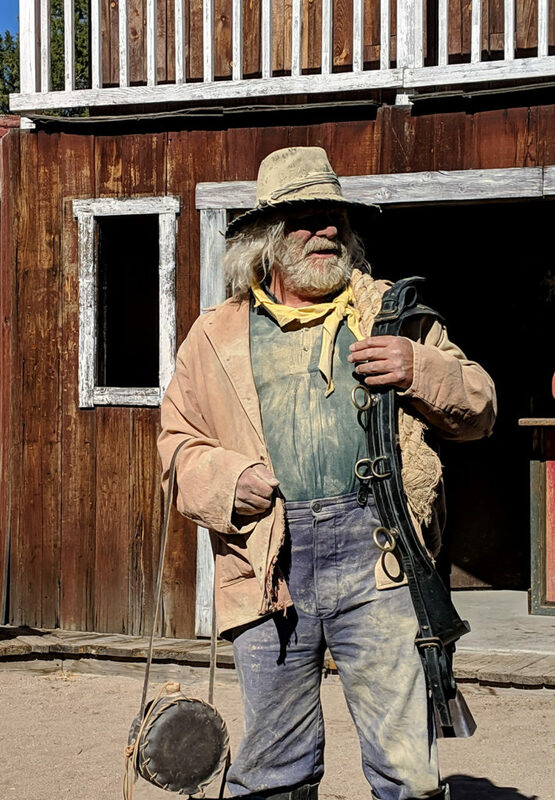 Wyat Earp Days sound like a real hoot! Maybe next year we can be there for that celebration. This is where I have worn all of my dresses that I have received from your company throughout the years! My husband and I were married in the Courthouse, which I would be glad to send to you if you wish! 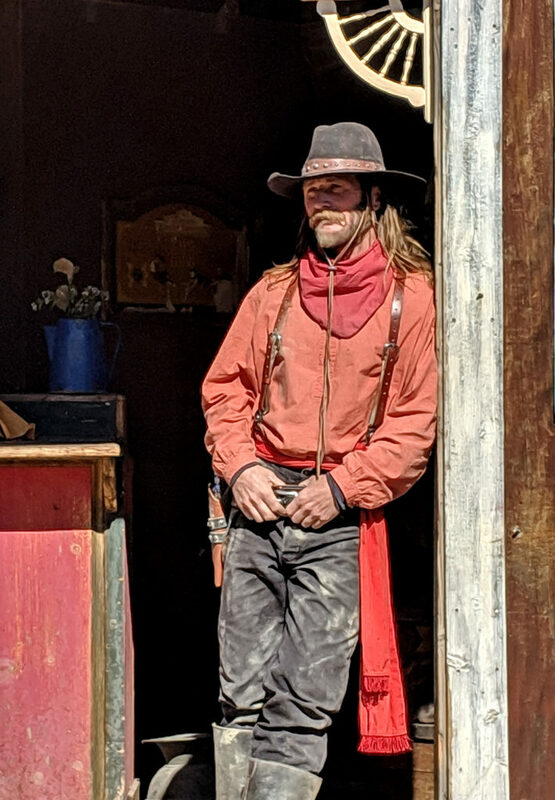 Grant it, you went there when it is a little cooler, but if you want the real feel of the town, go during Wyatt Earp Days, which is over Memorial Day Weekend! That is when the town really rocks!